With the Movistar Yamaha MotoGP team evaluating new parts and electronic set-ups especially for tyre life at the end of races Lorenzo and his teammate Valentino Rossi were both happy with their outright pace on day one and continued to work hard in the early hours of Thursday. 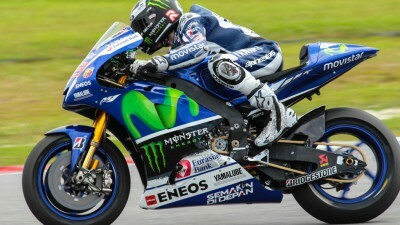 By 2pm Rossi had lapped sixth quickest overall 0.7s down on Lorenzo. Ducati Team’s Andrea Dovizioso set a fast time early in the day on the GP14.3 and remained second quickest as of 2pm, with his new colleague Andrea Iannone also picking up the pace in fifth on the same machine. For Repsol Honda Dani Pedrosa is still working with three versions of the RC213V whilst World Champion Marc Marquez has narrowed his selection down to two prototypes to test with. 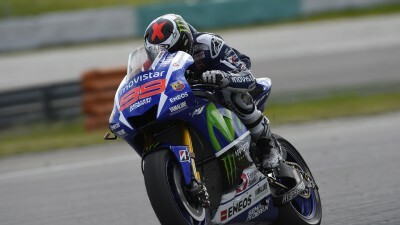 They were both in the top five and within 0.4s of Lorenzo’s best time in the first four hours of Thursday testing. For Monster Yamaha Tech 3 rider Pol Espargaro was seventh fastest by lunchtime working with two chassis variations, whilst his colleague Bradley Smith was riding through the pain of an ankle injury and just outside the top ten. CWM LCR Honda’s Cal Crutchlow is focusing on ironing out issues with rear stability on corner entry and chattering, so is working on weight distribution and engine braking with the RC213V. 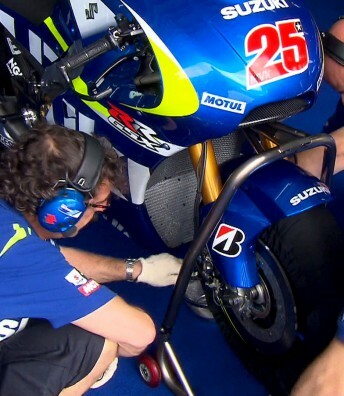 His new colleague Jack Miller is riding on used tyres in order to adapt to the Open spec RC213V-RS. 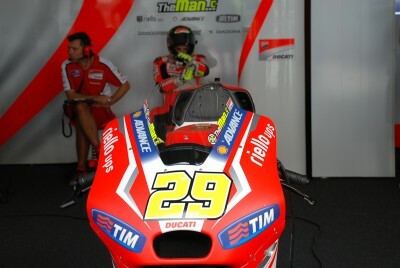 Miller crashed unhurt twice on Thursday before lunchtime. For Suzuki engine reliability is still a key point, whilst Aleix Espargaro is working on chassis development, whereas Maverick Viñales is mostly trying to get in as many laps as possible. Espargaro had cut his gap to the top rider to 1.381s in ninth place as of the midway stage on Thursday. Stefan Bradl (Forward Racing) was the top Open rider in tenth at 2pm, still working with a 2013 Yamaha engine in the 2014 frame, with an engine update set to come before the season starts. After a two-month winter break, the 2015 season of Pramac Racing Team got underway with the first day of testing at the Sepang circuit. As the MotoGP™ action for 2015 got underway on Wednesday at the Sepang International Circuit it was Marc Marquez who led the way. MotoGP™ World Champion Marc Marquez has begun 2015 as he ended 2014, on the top of the timesheets. After more than two months of waiting, Movistar Yamaha MotoGP’s Valentino Rossi and Jorge Lorenzo made a strong start in Sepang. Done exactly what I set out to do today. Smash @calcrutchlow and @Reddingpower best laps. So far infront they can't even see me. Hahaha! After a winter break of more than two months, the Ducati Team’s 2015 season got underway with the first test session at the Sepang circuit.